As more of your customer data and communications are stored online, coordinating across teams becomes even more difficult. On some occasions, you might see inter-team coordination falling by the wayside as well, with increasingly convoluted email threads and complicated forwarding requirements. What are some other red flags that hint it’s time to revisit the way your team communicates? Based on the options given to you by most common mail services, you might have tried solutions like subscribing a whole team to a group email address. This does mean that an email will reach the entire team, but you might find that it creates unnecessary duplication and that replies your employees send out might create new, private threads that the rest of the group would have some difficulty seeing. Forwarding is another method that you might have used, but deciding between using a CC(carbon copy), which would let everyone know who everyone else is talking to, or BCC (blind carbon copy), which cuts down on potential email spam, can make for even more email-based confusion. Instead of struggling over unseen and unsent emails, you might want to consider learning how to manage a team shared mailbox. By creating an email account dedicated to shared usage, you’re creating a central hub for email to go to—like the group email address option—while leaving the account with its own mailbox. Your team members can easily add the account to their own email client without the need for duplication, and any response will come from that same shared email account and be visible to all of the mailbox’s users. Using a shared mailbox increases both visibility and transparency. Every team member you give access to the mailbox will know exactly what is being said when it was said, and who was involved with any particular thread. Sharing messages will help your teams with sharing responsibility, while also creating an archive of past information that any newcomers can easily access and research. 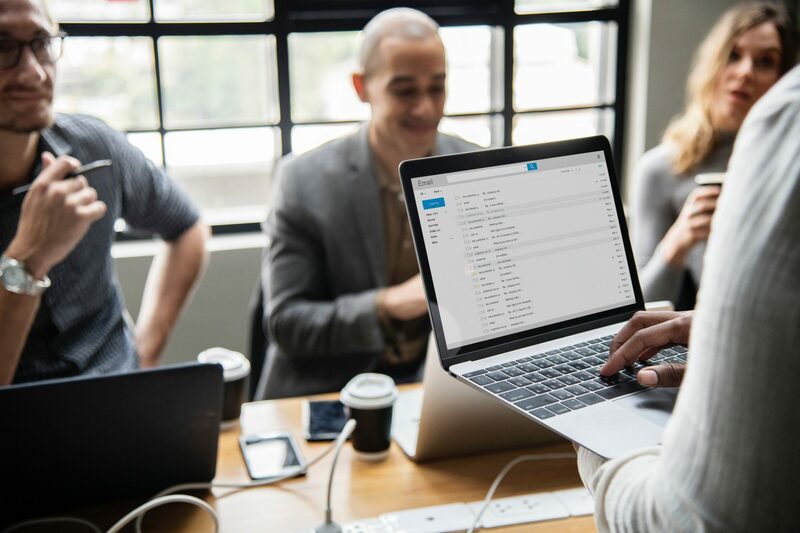 By creating shared mailboxes, you’re creating a collaborative atmosphere, which can help build efficiency and promote quick and seamless customer service. If you do want to learn how to manage a team shared mailbox, there are a few Dos and Don’ts you should know. This goes hand in hand with a tagging system. If you want to delegate things to team members, personal folders are a good way to do it. Alternatively, you can use individual tags to identify who is working on what while sending emails between different folders that track their progress. If you’re worried about email overload, filters can help determine which emails are most important to you, and which notifications you should be getting. Emails that require an immediate response time can be set to send notifications directly to your phone, or certain threads can be tagged to update you whenever a reply is received. You have a team to help you out, after all. If you’re not sure about a response you’re working on, forward the email to everyone on the team and get their reply before you send it out. Finally, don’t forget to change your password regularly. Whether or not you know how to manage a team shared mailbox, you definitely are aware of the risks associated with keeping the same password for too long on a personal account. These risks grow as the number of people with access to an account increases, so change the password regularly to keep the people who shouldn’t have access out, then redistribute the new password as needed. For more information about how to manage a team shared mailbox please contact Threads to find if this is the right concept for you. Help is just a phone call away or you can fill out an appointment request at Threads and one of our experts will be in touch with you.